So I went a little crazy at Micheal’s the other day. I couldn’t help myself, I saw all these stamps for a 1.50 and just had to buy them. 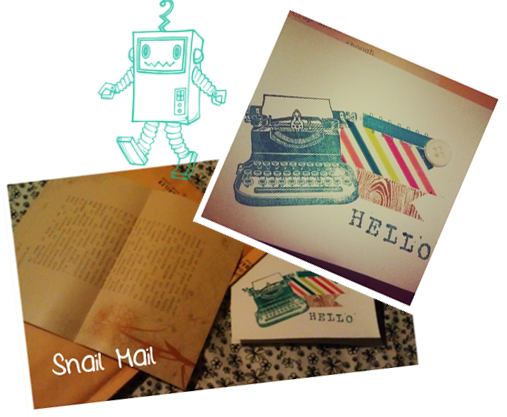 I mean look at that adorable typewriter stamp. I love typewriter stamps and this one just so happens to be a Valentine theme. I bought three Valentine stamps, so now I intend to make Valentine cards. Maybe add a cute lollipop or some type of candy to show the people I love how much I love them. Who knows? 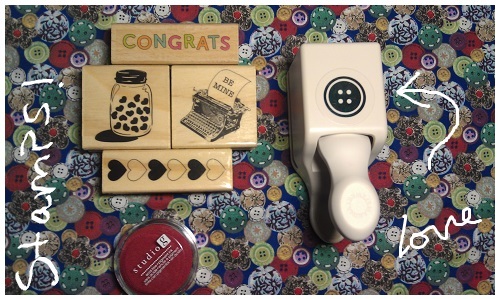 I also bought a button puncher. I love it! It makes a great embellishment for cards, scrapbooking, even gift wrapping. I’ve been wanting it and the cute tag puncher as well, but decided on this one. 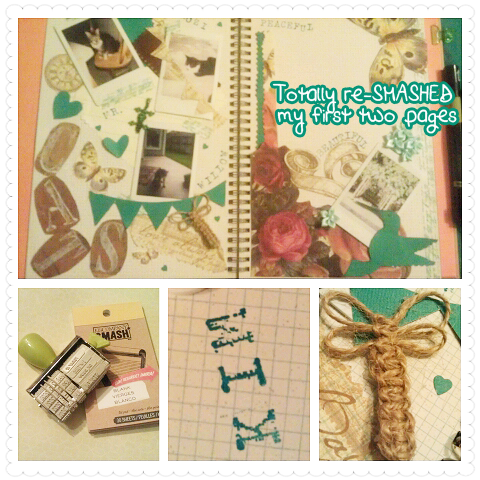 I feel very crafty right now. Believe me when I say I enjoy living in the digital world. I do. I love that I can send someone a message via the internet, but that doesn’t mean I do not enjoy sending/receiving normal cards and letters. I joined a few pen pal groups, hopefully these work out. The last time I joined a pen pal swap none of my assigned pals ever replied to my letters. I didn’t want my letters to make them feel obligated but I guess it was too much for them to keep up with. I mean I know sending things via mail can be hard to keep up with. I used to swap a notebook back and forth with my best friend but I haven’t sent it back to her in awhile. Now that I think of it it was sort of like a SMASH* book. We would write, doodle and smash stuff in it. I’m planning on sending her more letters, I miss her. Oh some exciting news, so there was this blog hop, with amazing prizes, and I won one of them. I will have my very own Amy Tangerine–The Little Things Day Book. I’m just so excited, I’ve never won anything before. So again a thank you to Kellie for hosting such an awesome blog hop. I love her blog. Continuing on with mail, my swapbot deadline is coming up next week and I finally finished gathering my 5 items to send to my partner. Each item has to be something she can use when smashing so I’m hoping she likes the items I’ve chosen for her. The other is a card I made for a SMASH*aholics pen pal. I had a lot of fun making it. I got to use my new typewriter stamp. I love it! I really love stamps and on my last visit to Hobby Lobby they had a bunch of new stamps. I’m hoping to send these out sometime this week. Speaking of this week it’s my last week off. Classes start next Monday, and I’m not exactly looking forward to getting back on schedule. -.- I’m already having problems with this semester and financial aid which I hope to clear up in the morning. Also Friday is the dreaded road test!!! I’m still as terrified as ever. I really wish I could have practiced parallel parking some more. 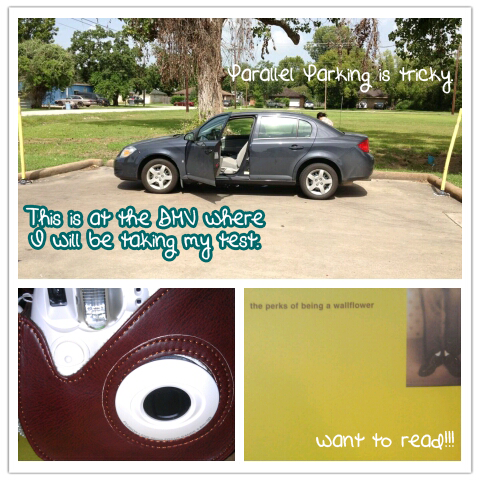 Blasted parallel parking! I’m trying to be calm about the whole thing, I mean I’ve talked about getting my license and always blamed my parents for not getting it sooner. I just have bad test anxiety and the fear of failing doesn’t help. The other day my 16 year old cousin got her license so that should motivate me to do my best on Friday. I can do this! I know I can, I’ve been driving for awhile now and I should hurry up and just make it legal now. No more excuses. I love this song, I’ve been obsessed with taking pictures with my instax and then I found this song and I can’t stop listening to it. It features the newest Fuji digital Polaroid camera in the video.